It’s not complete if you are traveling in a city not tasting a variety of special foods as well as drinks native to the area. Well, for those of you who have or have never traveled around the city of Surabaya, East Java there are many places that are worth a visit. Aside from being an industrial city center and also a historical city, it turns out that in Surabaya there are many delicious traditional specialties and enjoy. Here are the facts about Bali food you will surprise. Klopo satay as we see in the picture is not coconut-based satay. 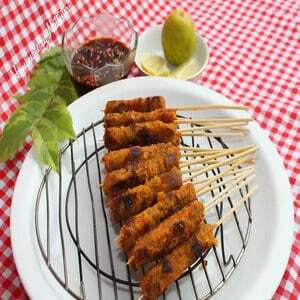 Klopo is a satay made from beef or chicken meat while the mixture is like innards and beef fat to add a savory taste. The process of making satay before being burned must be smeared with grated coconut, which makes some people know that this satay is made from coconut. This satay is sprinkled with grated coconut so that the taste becomes unique. You can find Klopo satay on Jalan Walikota Mustajab Number 36. Surabaya west of Surabaya City Hall. You must try what to eat in Jakarta Indonesia traditional food. 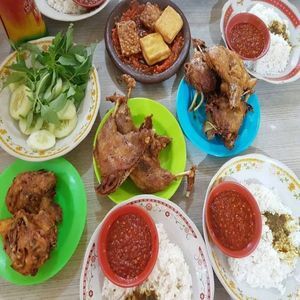 For those of you who love culinary nights or traveling at night, more precisely if you are rumbling or starving, you can taste this one typical Surabaya food. On Jalan Jagir Wonokromo Wetan Number 12, there is a shop that sells sego sambel, well, of course, it’s not foreign to you. This cuisine serves white rice coupled with appetizing chili and side dishes. By eating it, your hunger at night will disappear instantly and become full. Cheap is delicious and doesn’t make you sleepy, so you have to try this typical food from Surabaya, the famous Ahmad Jaiz cingur salad. Although the price is cheap, it doesn’t seem to be underestimated. This cingur salad is a Surabaya culinary in the form of salad mixed with cingur or cow’s nose so it has a distinctive taste and is a delight for salad enthusiasts. What is sure to make you will be addicted and want to try this traditional food again. The following are the famous food in Medan Indonesia you can taste it. 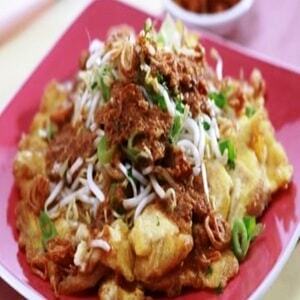 The following are popular food in Surabaya, namely Tek Tofu. This tofu contains one portion of fried tofu, rice cake, and small cut potatoes. Uniquely Surabaya’s special food is all the ingredients are cut not using a knife but on scissors, after cutting, added toge or sprouts, and celery sprinkles. The complementary seasoning is the paste on top, of course, as a complement to the above, sprinkled with crackers so that the dish is more delicious. 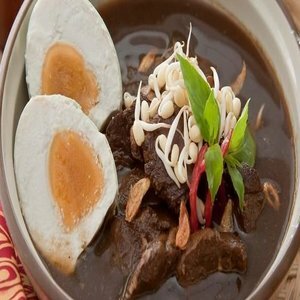 Rawon Satan is a souvenir of Surabaya’s East Java food that has deep black soup, demon rawon similar to Soto. The black color comes from Kluwak or the typical seasoning for making rawon. Rawon demon made from beef which is cut larger than regular rawon and has a soft texture when bitten. In rawon satan, it is often added innards or chicken kikil, suitable for you rawon enthusiast, please just come to Surabaya. Here are some examples 16 tastiest best seafood in Jimbaran Bali. 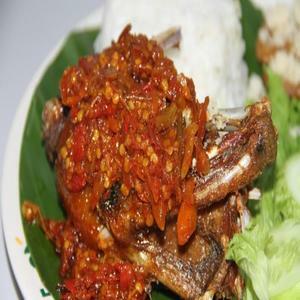 For you spicy culinary enthusiast, there is one food that is not left behind, namely the Bebek Mercon. Now, this typical food from the city of Surabaya is made from duck meat which is served with very spicy ingredients. So that when we first eat it there will be a burst of sensation and your mouth is burning. In one portion of duck cone, there is warm white rice fried duck, fried tofu, fresh vegetables and not to miss the spicy sauce. if you want to taste the typical culinary originating from Surabaya, please just visit and enjoy a special dish. The popular food in Surabaya then is Soto Lamongan. 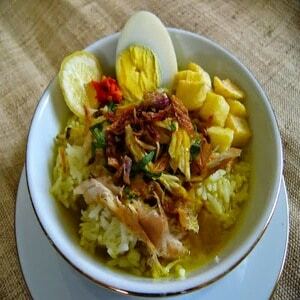 typical foods that are cheap and worth trying are Soto Lamongan Cak Har. Soto dish in this place has a more savory and thick flavor. Besides Soto, there are also other menu choices such as chicken checkers, chicken meat, innards, and chicken brutu. because the savory and thick food in Soto Lamongan, Cak Har, which makes the food there become popular, many people from young and old people also enjoy it. This Soto address is on Jalan Ir. Soekarno, Surabaya. You have to try this menu because it tastes great. Hence top famous delicious food in Bali Indonesia you must know. Mix tofu is a typical Surabaya food that has been legendary among the people of Surabaya, at the beginning there was a tofu mix. There was a farmer, in his house he found no food at all which left only Soto ingredients, yesterday leftovers like bean sprouts, cabbage, a cup of petis and the rest of the soup soup in the cauldron. With these ingredients, it becomes a tofu mix which tastes delicious, delicious and tasty. A blend of distinctive flavors makes this dish arouse your appetite. In Surabaya, it is known for its unfriendly weather that makes the throat dry. Now there is one very tempting place for our thirst, which is located on Jalan Yos Sudarso. Exactly where to eat zangrahadi ice cream. This typical drink from Surabaya has been very long and was established in 1933 and sold in European-style buildings. 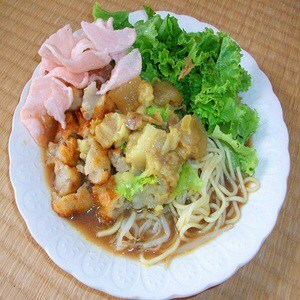 The popular menu in Surabaya’s culinary place is noddle ice cream. Surely you are curious about the delicious taste and you will be addicted to the taste. The most common food in Bali with authentic taste. 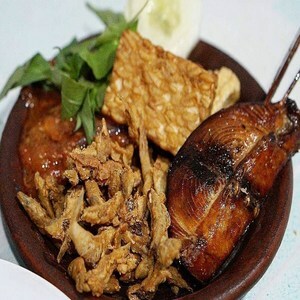 The next most popular food in Surabaya is the Bebek Palupi. A culinary delicacy and shake your taste, here is one of Surabaya’s unique culinary delights which is a favorite food located on Jalan Raya Rungkut Asri Tengah Number 10, Surabaya. In addition to fried duck, warung, this meal also provides fried chicken and catfish pecel. It’s just that there is one food that is the most favorite food in this shop, which is the fried duck which is the favorite menu of the visitors, so it is better known as the Bebek Palupi name. The price issue is not too cheap but not too expensive, but standard. Lontong balap is one of the foods that you should try, so you don’t try to taste it because it’s guaranteed you won’t regret if you feel the taste of the legendary lontong balap. Here are the best seafood restaurants in Bali Jimbaran you have to visit. Krawu Rice is a blend of fluffier white rice with stew meat, beef offal, serundeng, and chili paste. Krawu rice is right when eaten at breakfast with warm white rice combined with a variety of savory seasoning dishes will certainly satisfy your tongue and stomach. Cak Gundul Crab Shop has been in Surabaya since 1992 with one of its mainstay menus, curry seasoning crab and sweet and sour crab. Located on Jalan Kupang Indah, you can also eat a variety of seafood such as shellfish, fish, shrimp, and squid in this shop. With prices that are affordable and guaranteed to be satisfying. Recommendation for the best food in Lombok with delicious taste. Jancuk Fried Rice is a food that is suitable for you spicy culinary lovers. This Jancuk word comes from the story of the beginning of the creation of this food. Fried rice is made with mixed with a lot of cayenne and when the process of tasting this rich food. 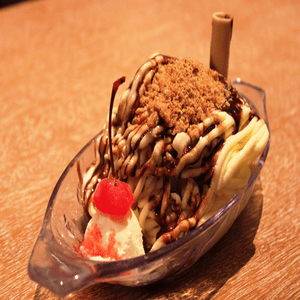 Thus are some examples and explanations about popular food in Surabaya. You must try it when visiting Surabaya, surely you will be addicted to the taste.